Interests: Mental Health (Provides Specialised GP Counselling), Women’s Health, Preventative Health, Paediatrics. Consults: Monday, Wednesday, Thursday and occasional Saturdays. 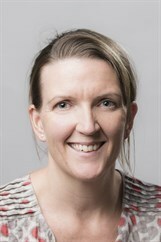 Susan joined Bluff Road Medical Centre in 2007, having worked at Family Planning Victoria and Freemason’s Hospital – Women’s and Breast Clinic. She is passionate about the importance of emotional well being and the role of mindfulness in her patient care. Dr Barnett has a specialized interest in providing GP counselling and focused psychological strategies. She is able to utilise GP Mental Health Plans to provide counselling and assist her clients who are struggling emotionally. She has a patient-centered, individualized approach to assist her clients attain their goals. Outside of Medicine, Susan enjoys spending time with her friends, family, her three children and enjoys running. Together with her family therapist & counselor colleague Dagmar Marek, Dr Susan Barnett also conducts regular monthly talks at Bluff Road Medical offering clients strategies promoting wellness and better mental health. For further information please visit dagmarmarek.com.au.